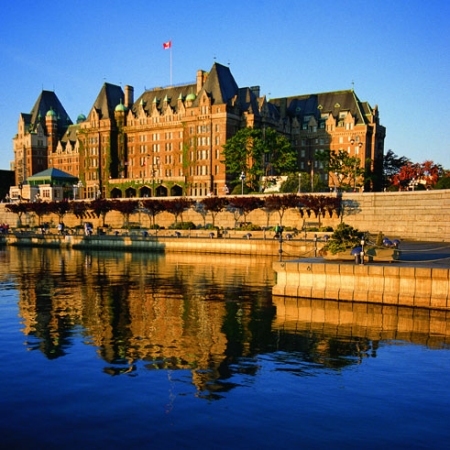 VICTORIA, BC – In what is becoming a tradition at a number of hotels in the Fairmont chain, Victoria’s Fairmont Empress has partnered with a local brewery to have an exclusive beer made using honey from its rooftop hives. Following the lead set by the Fairmont Royal York in Toronto – which has been offering Royal Stinger Honey Beer by Mill Street Brewery since early last year – as well as Fairmont properties in San Francisco and Seattle, the Empress has commissioned Hoyne Brewing to craft Empress Honey Wheat Ale to serve to visitors and patrons. Empress Honey Wheat Ale is available now in the Bengal Lounge and Veranda restaurants at the Fairmont Empress.